The weather was terrible here today, which meant that we were stuck inside ALL day. In order to stay sane I needed an activity that would keep my two small children occupied for a while. 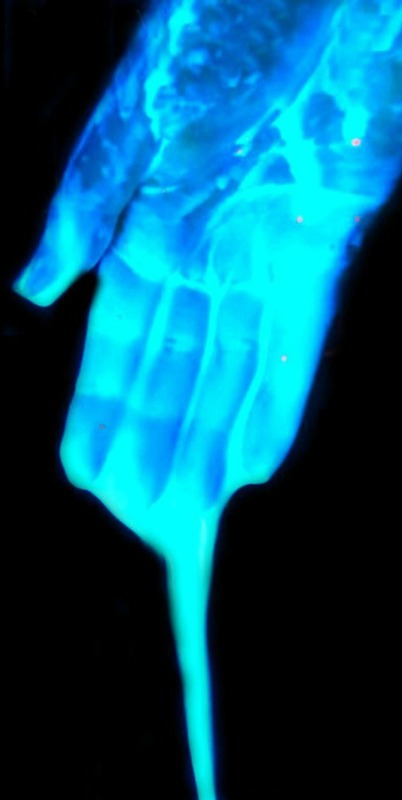 This glow in the dark GOOP did the trick perfectly! 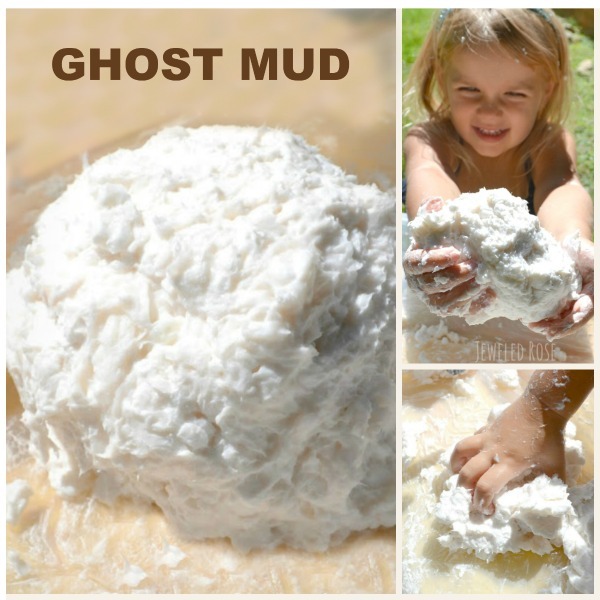 GOOP is such a fun play material, and it is really easy to make! 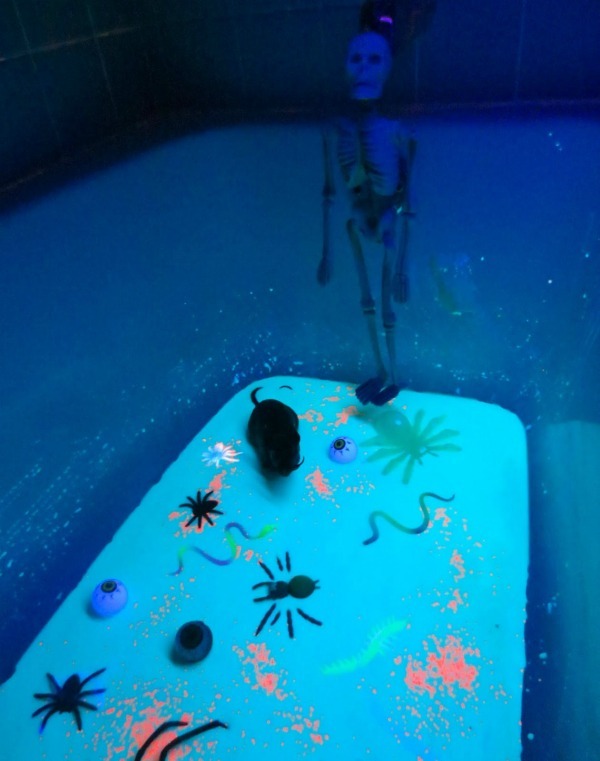 To make this activity even more fun I made the GOOP glow and added a array of Halloween toys- making it GOBLIN GOOP. 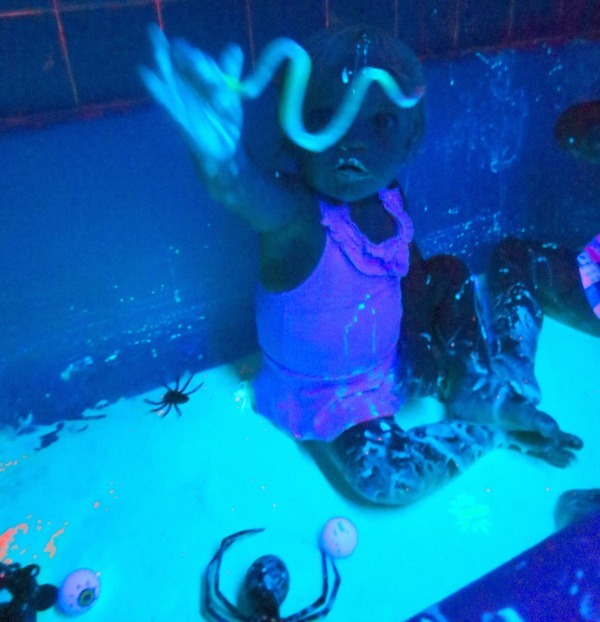 Halloween is right around the corner after all! This recipe calls for roughly equal parts of water and corn starch. You can easily double and triple the recipe, too. 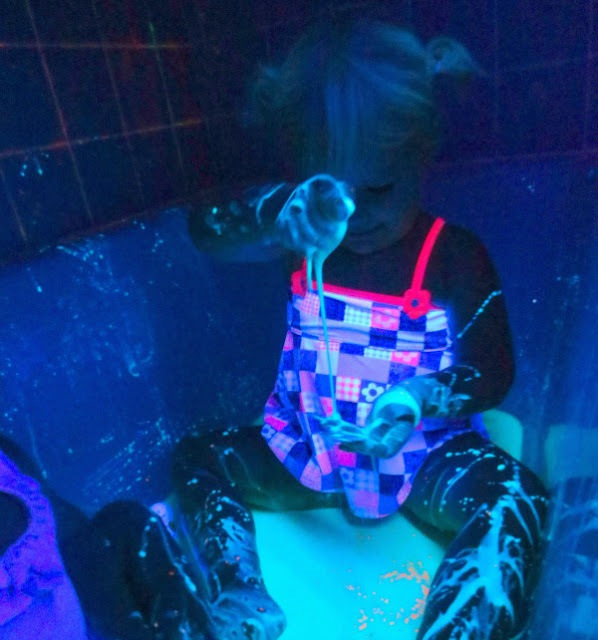 Add the corn starch and paint to a sensory bin or container, and then slowly add water and mix. Continue to add water slowly and mix until the desired consistency is reached. 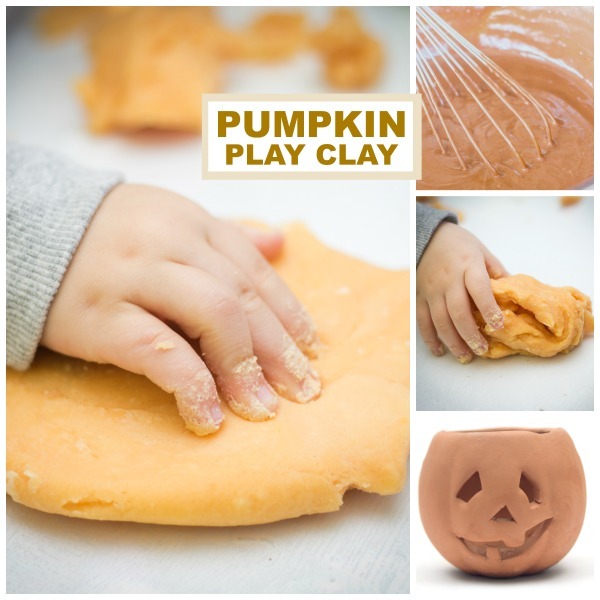 You can use more or less water to produce different Goop consistencies. 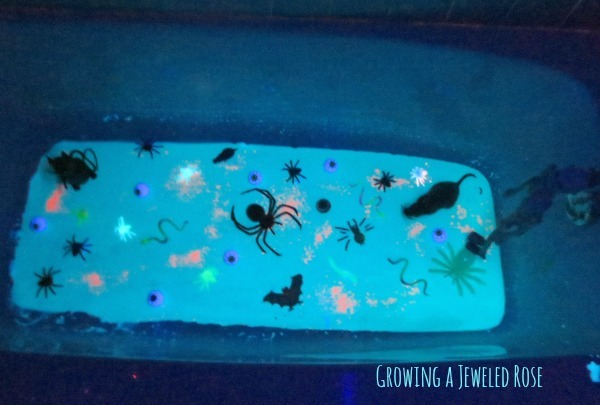 A few tips: You can use glow in the dark or fluorescent paint for this activity. 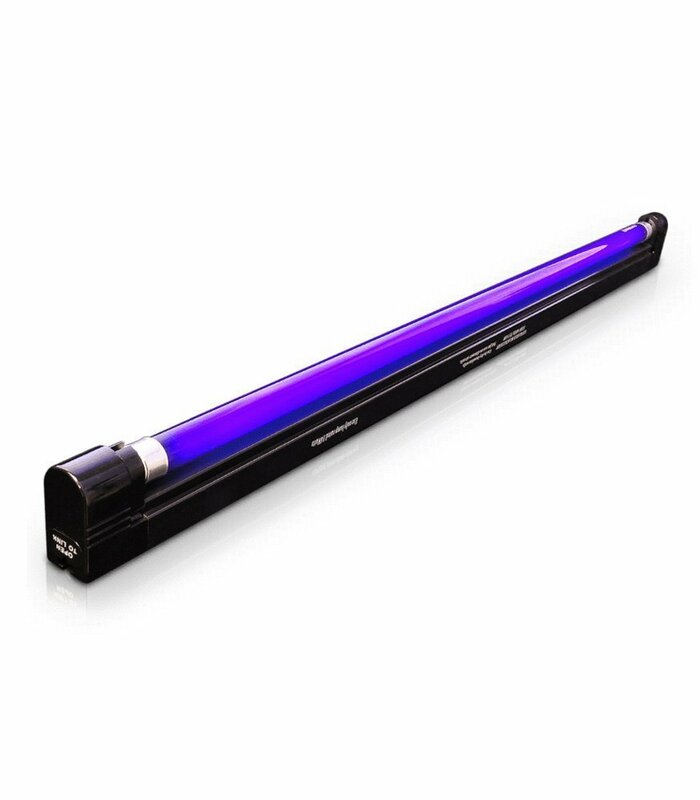 I recommend using a black light to produce a bright glow. 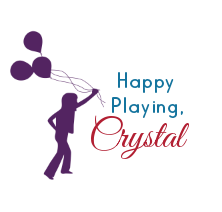 The one we use for all of our activities can be purchased online here.